Dr. Charla McKinzie Bishop is the Director of Training for Mid-Atlantic Children’s Services, Inc. Her expertise lies in the educational evaluation and intervention of children and teens with learning challenges and disabilities. Dr. McKinzie Bishop also has a background in vocational assessment, and has worked with teens and young adults to help determine a pathway to employment based on their individual strengths and weakness. Dr. McKinzie Bishop also specializes in behavioral evaluation in order determine the nature and severity of problematic behaviors. 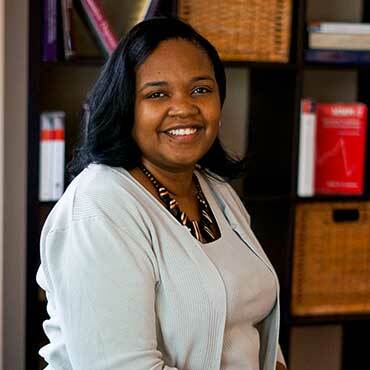 As Director of Training, Dr. McKinzie Bishop provides training to undergraduate on observational techniques and clinical interviewing, while providing training to graduate students on educational, vocational, and behavioral assessment. Her research interests include factors effecting academic and social success during adolescence and early adulthood. EDUCATION: Wesleyan University, Bachelor of Arts in Psychology (1995). Master in Counseling at Fordham University (1997). Master (2000) and Doctorate (2002) in Applied Developmental Psychology at the Fordham University (2002). INTERNSHIP AND POST-DOCTORAL TRAINING: Psychoeducational Intern at Jacobi Hospital, Rose Kennedy Center for Learning Disabilities in Bronx, NY. The internship includes psychoeducational (reading, writing, and mathematical) evaluation and therapy with adolescents (ages 12-21) who were identified with a learning challenge or disability or who were in need of testing to qualify for educational support services. CREDENTIALS: Psychology Associate, Washington DC License#PSYA00127. SERVICES PROVIDED: Educational Evaluations including diagnosing, learning disabilities, intellectual disability, autism, and dyslexia evaluations. I also provide psychoeducational therapy in order to help children and adolescents attain academic progress.